General use coil for many devices in later-model Bally/Williams games. Used for pop bumpers, vertical up-kickers, ball auto-launchers, kickouts, etc. Can also be used as replacement for 23-750 and 23-850 in most devices. 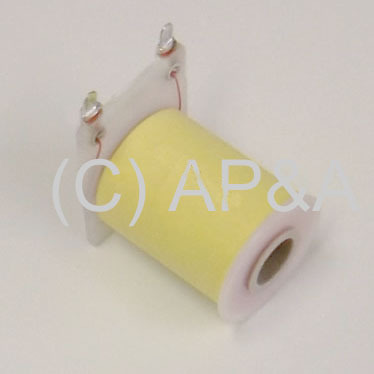 Available with or without coil diode on front (top) of solder lugs- select above when ordering. Coil ships WITHOUT diode by default.